The University of Victoria finds strength in research partnerships in all three of Canada’s oceans. 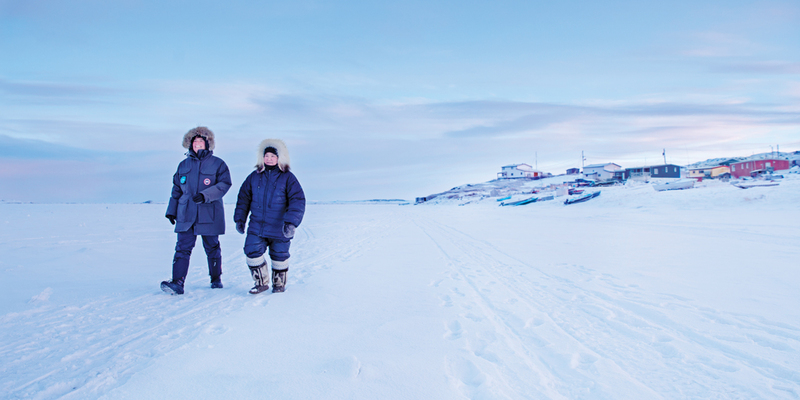 In the Arctic, community collaborators like Amanda Dumond, Manager of the Hunters and Trappers Organization in Kugluktuk, Nunavut, contribute local expertise and Inuit knowledge to guide sea ice research led by Maia Hoeberechts of UVic’s Ocean Networks Canada. 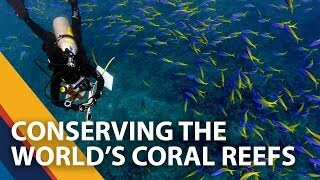 UVic researchers are international leaders in ocean science and technology, climate science and clean energy systems. Many of them are associated with world-leading oceans and climate facilities, institutes and government research labs situated on campus. Dr. Francis Zwiers, Director of PCIC, enables strategies for better responses to climate change. 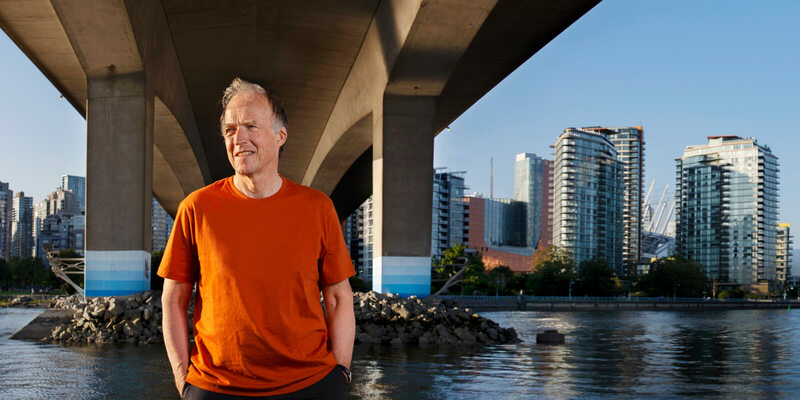 PCIC science helps decision-makers mitigate risks from sea level rise (portrayed here by the blue stripes painted under Vancouver’s Cambie Bridge), and events like wildfires, floods and droughts. 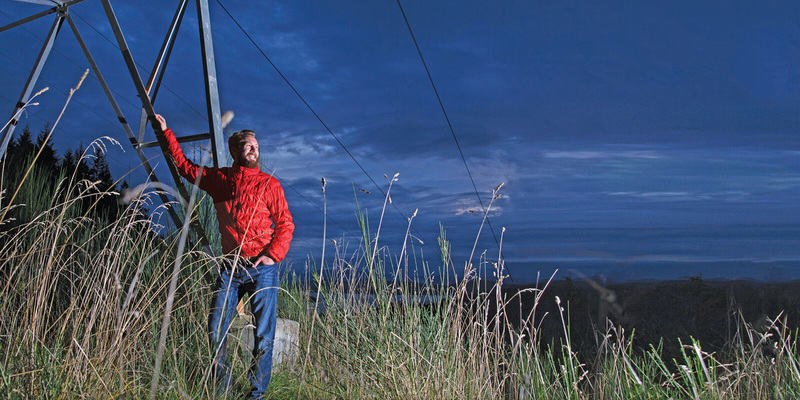 Benjamin Lyseng, a researcher at IESVic, examines electrical grid integration options—including wind, wave, solar and biomass sources—to create a future of clean, sustainable energy systems for Canadians. IESVic’s mission is to chart feasible pathways to sustainable energy systems through the development of new technologies, processes, and systems. Its research partners include utilities, car manufacturers, transportation planners, renewable energy device developers, First Nations communities, governments and university researchers in 17 countries. 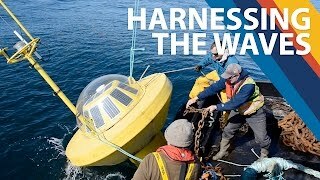 PCIC, IESVic and ONC are just three of the ocean-climate science and technology institutes, research centres, labs and organizations at UVic. The university also hosts and leads the Pacific Institute for Climate Solutions (PICS), a collaboration between BC’s four research-intensive universities that studies the impacts of climate change and develops positive approaches to mitigation and adaptation. In addition, UVic is home to two Environment Canada labs—the Canadian Centre for Climate Modelling and Analysis, a flagship, internationally recognized climate-modelling laboratory, and the Water and Climate Impacts Research Centre, specializing in hydro-climatology and the hydrologic and ecological impacts of atmospheric change and variability, particularly in the Canadian Arctic. 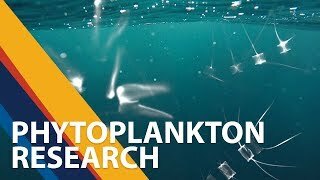 See more videos from the Ocean science and technology playlist on YouTube.